This week's Kyuranger is what I'd call a suspense episode. So much for my previous plan to just cram the last four episodes into one massive post! On the other hand, I've decided to relax w posting Kamen Rider Build and Hwayugi updates for now. The Kyurangers finally return to Earth where they discover that the newest Consumarz has set foot on Earth in the last episode. The hostile reception was expected. 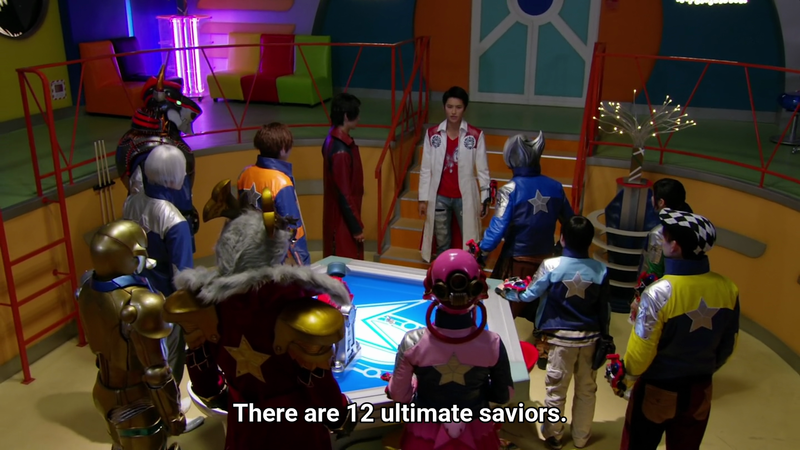 This would be a huge hurt to everyone since most of the Kyurangers' operations were on Earth for some time. So why the Earth? It's rich in Planesium and it would make the ultimate bomb. Kotaro gets reunited with his younger brother. 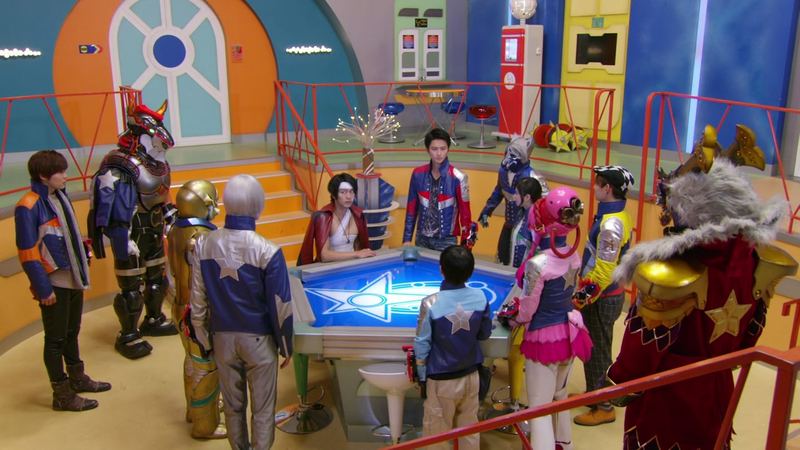 But the reunion is cut short when Professor Anton shows up to "greet" the Kyurangers. Worse, something else happens. Don Armage finally shows up revealing his plan to possess the Universe and restart it as he sees fit. Again, I'm still reminded of that episode in X-Men: The Animated Series by Saban Entertainment where Apocalypse aimed to turn the psychics of the Marvel Universe into a massive bomb. Are both villains trying to do the same thing? Speaking of which, both Apocalypse and Don Armage do reveal that they could possess other bodies when one body is destroyed. This is really one thing... what does he mean that he is really Don Armage? 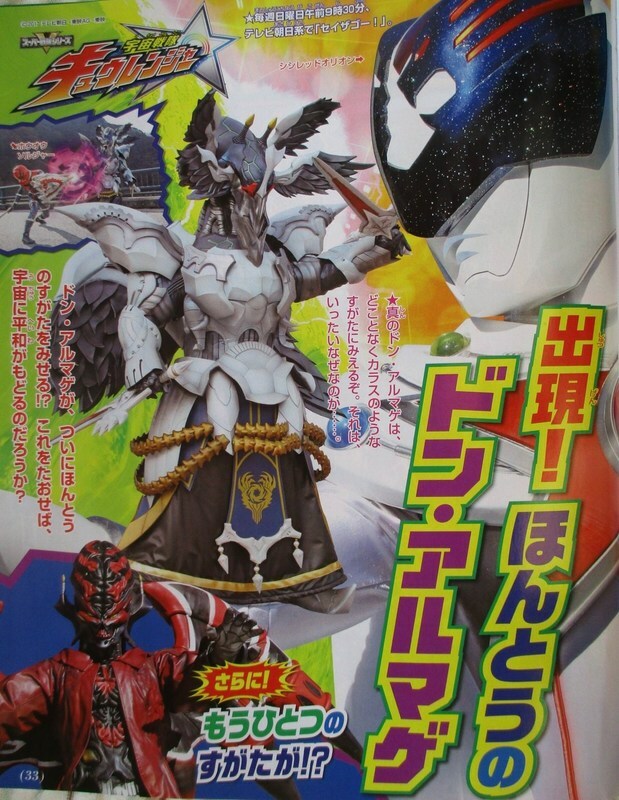 Was Cuervo a disguise all along done to fool Tsurugi? Read on to find out. Meanwhile, Professor Anton (or should we say, the dark side of the same being) combines with his robot after he's insulted and called an idiot. 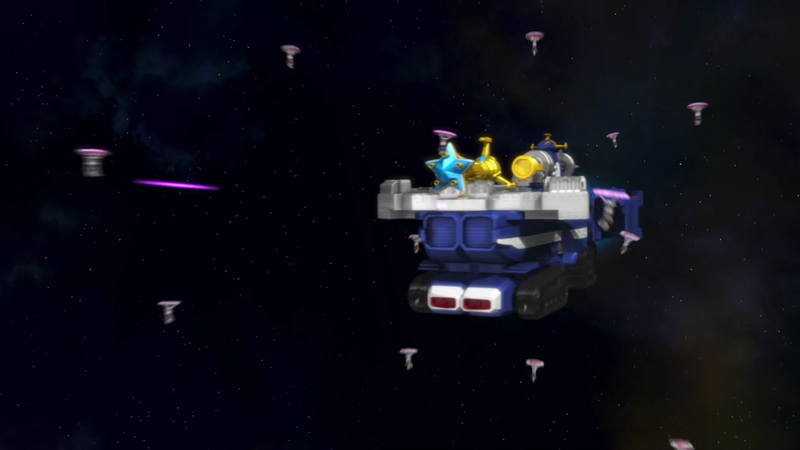 This results to the final battle that will conclude his saga. I feel Tsurugi still feels responsible and challenges Don Armage alone. This is one dangerous move. But he has one dangerous revelation that he must accept. 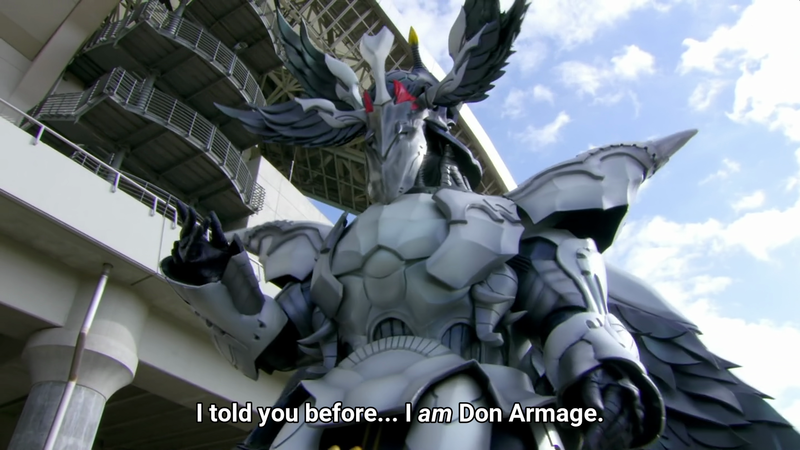 I was wrong in my assumption that the Don Armage defeated was an illusion. So Cuervo is NOT Don Armage though the latter may have inherited the former's memories. Cuervo was dying and he had a subconscious desire to be strong. This allowed Don Armage to enter Cuervo's dying body. His revelation was that he created clone bodies of himself which he may have had control of. This almost reminds me that Emperor Palpatine in Star Wars' Dark Empire Trilogy where he cloned himself many times and his spirit moved from one body to another. 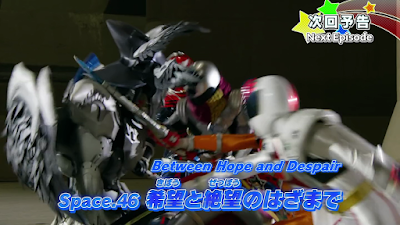 So at this point, the real Cuervo has already died and Don Armage was using psychological torture whenever he said "boku" to Tsurugi. I dunno if it's a relief or I want to punch the writer right now because I wanted to stick to the Cuervo is a disguise all along plot. 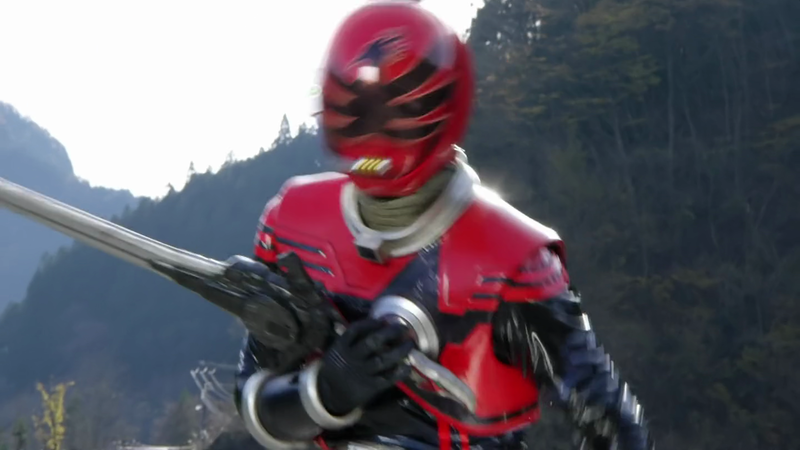 Tsurugi's life force is running out. 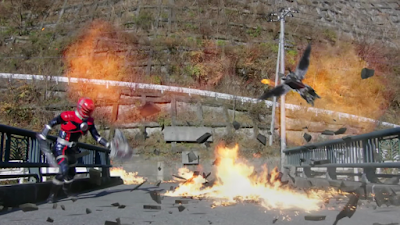 The Phoenix Kyutama which was keeping him alive is withdrawing its power for a reason. 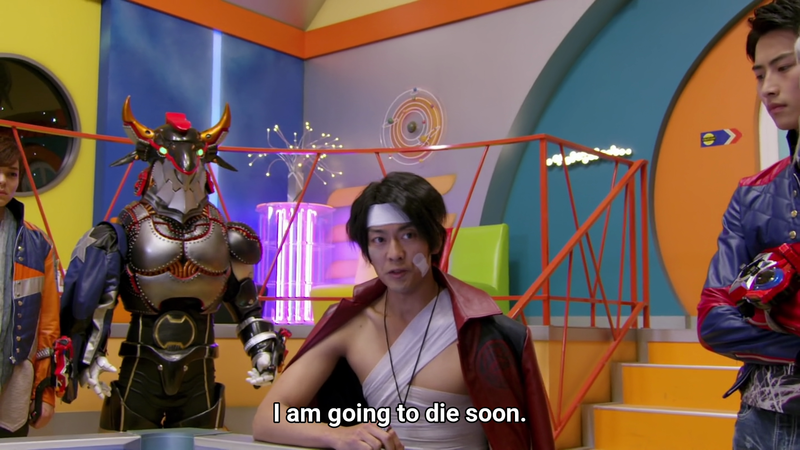 I just want to play Zyuranger's Dragon Caesar theme. Is it me or is this too last minute to reveal that he's living on what could be borrowed up? 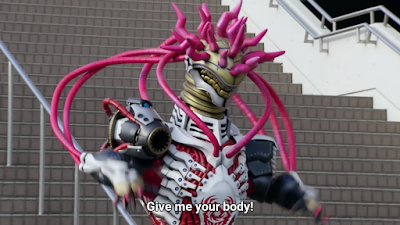 I'm reminded of Burai from Zyuranger. 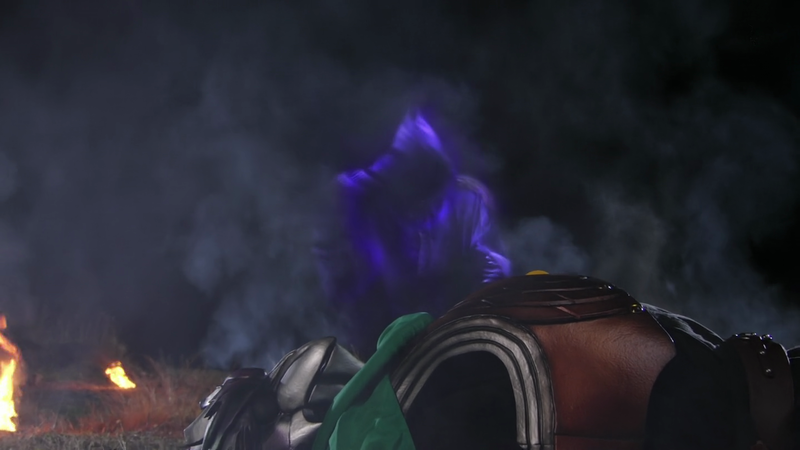 Remember when Burai lives in the crisis of his borrowed up and he's been dead all along? 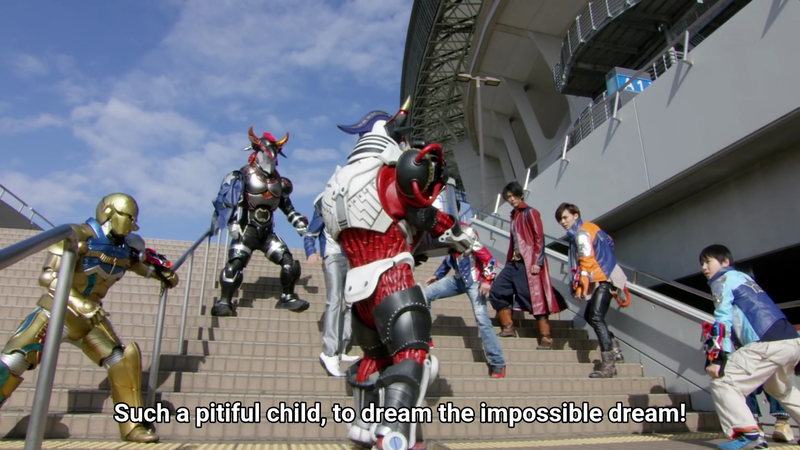 I wonder if Tsurugi was simply placed in suspended animation even if they know he won't live long, so he can live long to assist the Kyurangers 300 years later? Burai vibes anyone? But he may die a death more glorious than Burai. 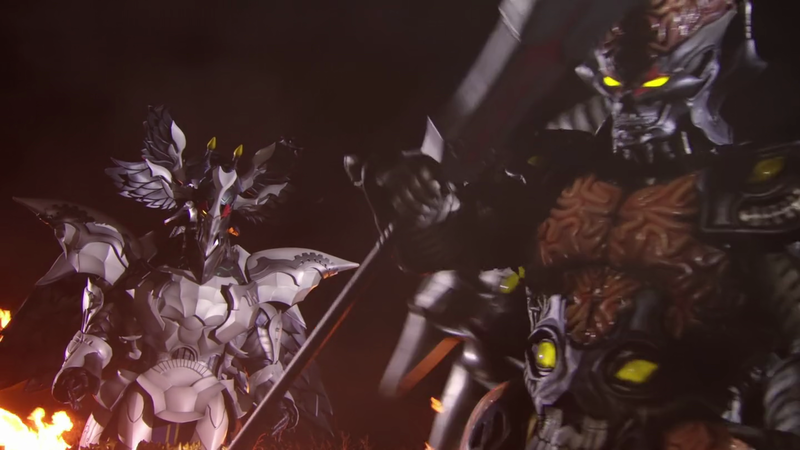 What's interesting is that the actor Keisuke Minami is 32 years old AND Shiro Izumi was 31 years old when he played Burai. Boy, prepare your handkerchiefs. 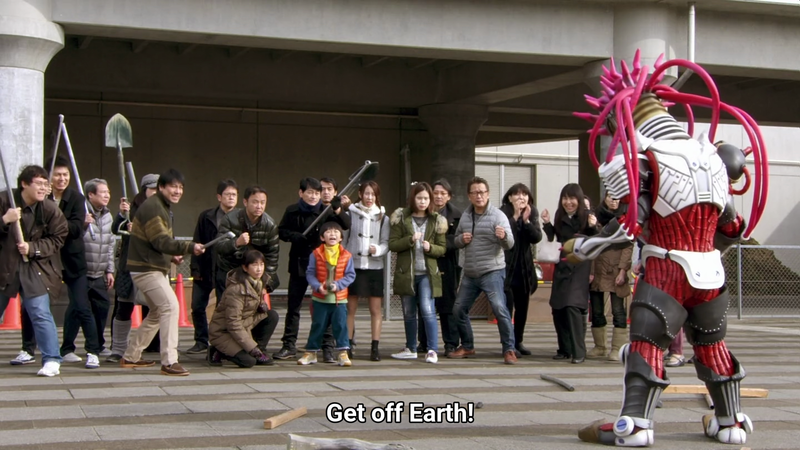 The people of Earth finally see that they need to fight in order to survive. I guess several years of not caring has caused the Earth to be taken over by Jark Matter. But do they know that Don Armage plans to use the Earth as the final failsafe for his plans? It's not shown yet. 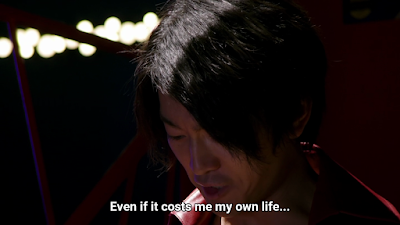 What would be very devastating is now that Tsurugi tells everyone he will die soon. Everyone wants to talk about being together but will they? 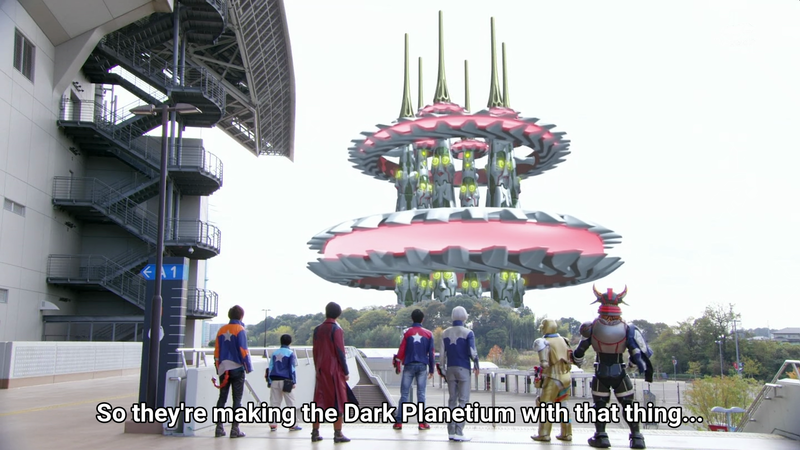 I dunno, but I have a feeling that writers here are tapping on Burai and improving the storyline. Burai never had the chance to join the Zyurangers in the finale but Tsurugi will. It turns to be that Professor Anton is turning people into Indaver to destroy each other. Why didn't Jark Matter think of this before? 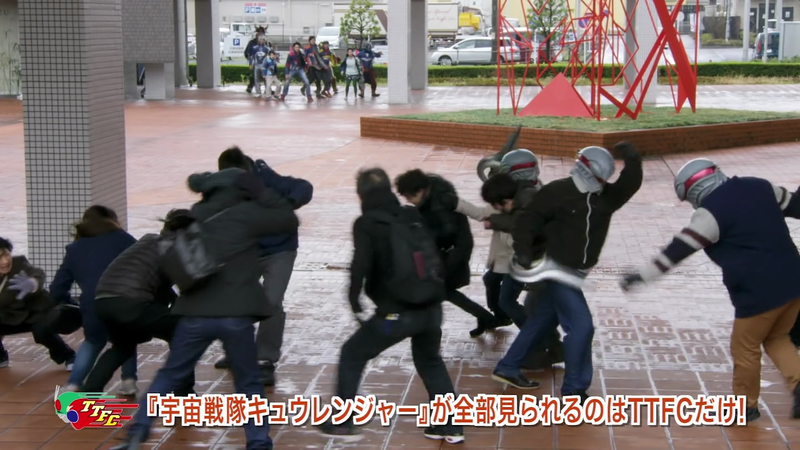 Speaking of which, I remembered this one happening in Abaranger and Goseiger where people were turned into foot soldiers. Lucky well decides to wear his coat that he wore back in Space 37. I guess if he needs the Schwartz (just a joke) he needs it now. 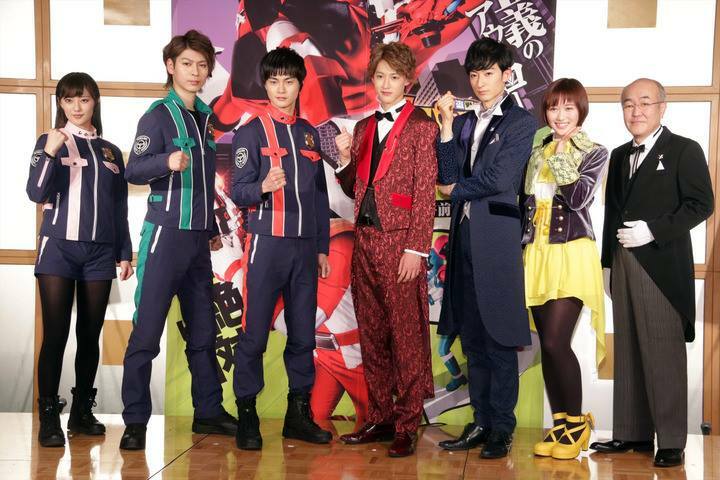 The Kyurangers want to try and save Tsurugi from dying but will end up like the Zyurangers' plan? This leaves me in suspense again. Please try and remember this magazine scan. We see that Don Armage will have his phoenix form soon. It looks like a merged form of Don Armage AND Tsurugi! 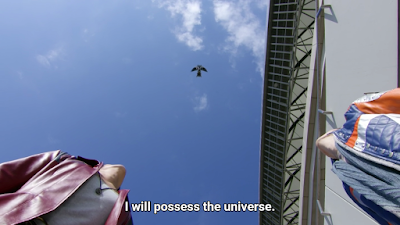 I do have my hunch that maybe, just maybe Tsurugi will have to sacrifice himself to save the Universe. I guess once Cuervo's corpse runs out of capacity to house Don Armage's essence then he may use Tsurugi's body as a trump card. I can't wait to see the ending because we'll be seeing Lupinranger vs. Zenitaranger Patoranger soon enough.